Tyler Plogher, Duncan Knox, Kailey McDonald, Jon Abrahamsen, Brandon Love, Susan Bearns, Katherine Dubowsky, Michelle Mazurek, Anthony Redman, Khailiah Robinson, and Ashley Smith. 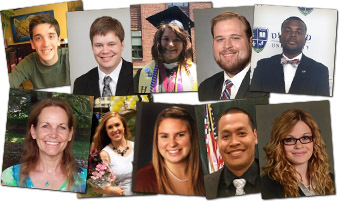 Each year, Pi Gamma Mu awards up to 11 scholarships to outstanding members. Three scholarships are worth $2000 each, and the other eight are worth $1000 each. These scholarships are intended for the first or second year of graduate work in the social sciences. If you are interested in applying, you should start putting your information together right away. Applications must be fully completed and received at the Pi Gamma Mu office in Winfield, Kans., with a postmark on or before February 15. Winners will be notified in April, with the grants awarded in October. Please check the Pi Gamma Mu website for information and the application form . 2015-2016 is an important year for Pi Gamma Mu and this year we are continuing to focus on growth. In order to maintain fiscal stability and prepare for a strong future we must continue to grow by inviting more outstanding students who deserve to be honored to become lifetime members. Receiving an invitation to join Pi Gamma Mu is an honor both students and parents value a great deal. We want more top students to have this opportunity and we are asking chapter sponsors to help us achieve this mission. Increasing your chapter’s membership helps Pi Gamma Mu accomplish its mission to encourage and recognize superior scholarship by extending the benefits of membership to more students. 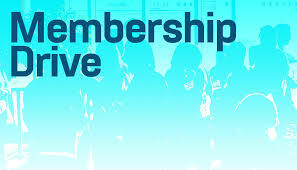 It is the collection of the lifetime membership fees from new members that sustains Pi Gamma Mu and we ask for your continued support in this area. During the annual meeting of the international Board of Trustees in September 2015, the board approved the recommendation of the Awards Committee concerning which chapters are recognized on this year’s Roll of Distinction and Roll of Merit. The Rolls are the result the Awards Committee's evaluation of the annual reports filed by responsible chapter officers. Among the criteria reported are facts indicative of the activity and effectiveness of the chapter on its campus, as well as its efficiency of operation according to procedures suggested or required by the international board. 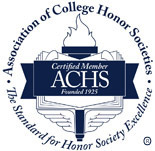 This includes chapter organization and participation by faculty members and students, election and initiation of members, and financial responsibility. Local initiatives in developing new activities or methods of operation are considered. A significant goal of Pi Gamma Mu is to bring the ideals of scholarship, collaboration, and service to colleges and universities around the world through reactivating and establishing new chapters of Pi Gamma Mu at these institutions. In addition, growth through the development of new chapters is essential to the future sustainability of Pi Gamma Mu. Allison G. S. Knox, Board of Trustees Chancellor for the Southeast Region and faculty member and Pi Gamma Mu chapter sponsor at American Military University/American Public University, will host a conference call for chapter sponsors in the southeast region later this month. The call will be held on Friday, November 13, 2015 at 10:00 a.m. eastern standard time. The call will include a discussion about student officer positions and the roles students may take at various chapters throughout Pi Gamma Mu. Knox and Pi Gamma Mu executive director, Suzanne Rupp, will also provide updates on conferences, scholarships, chapter service projects, and more. Mark your calendars! Plans are coming together for our next Triennial International Convention. Join us in Kansas City on November 2-4, 2017! 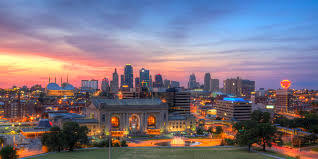 Our hotel, the Marriott Kansas City – Country Club Plaza puts you in the heart of Kansas City’s world famous Country Club Plaza, the Midwest’s premier shopping, dining, and entertainment district. Situated between two distinguished art museums, The Nelson Art Gallery and the Kemper Museum of Contemporary Art, the Marriott is an ideal location to get together to celebrate Pi Gamma Mu’s rich history. 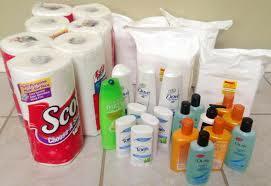 This fall and winter, we are putting together donation boxes for the homeless in our own respective areas. If every chapter put together one box for an organization in their own community, Pi Gamma Mu could collectively help thousands of people. Together, we can work to make a difference across the country! Habib Baig, lifetime member of the West Virginia Iota Chapter, volunteered at a Feed the Homeless program in Rockville, MD last month. The program was held at an emergency shelter and was sponsored by the Islamic Center of Maryland Social Services Committee (www.icomd.org) and Montgomery County Coalition for the Homeless (www.mcch.net). The Washington D.C. based internship program is excited to announce a new program for this summer - Leadership and the American Presidency. This program will further develop students’ leadership skills by focusing on lessons and interactive simulations from the American Presidency. More information may be found at www.DCinternships.org/LTAP. Pi Gamma Mu communicates with its lifetime members via email. Anytime your email address changes, such as after graduation or when you change jobs, please update your email address using the link above or via our website. This will prevent your emails from being interrupted or discontinued. Use the link above to unsubscribe an old email address and subscribe a new one. Thank you very much for taking a few minutes to keep your information current. If you have any difficulty, please contact [email protected].